The prescription of specific homoeopathic medicines, in specific potencies and dosages with frequent repetition and also in combination with other medicines – that is Banerji Protocol. This book projecting on how the process of treatment with homoeopathic medicines can be simplified, standardized and replicable in terms of the present day needs of the society. 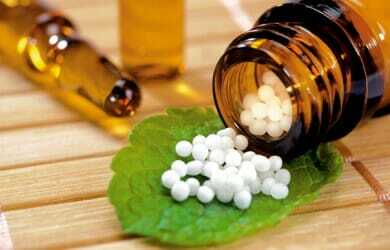 In the clinics of their research foundation, they do not practice classical homeopathy. They have developed a method of treatment in which specific medicines are prescribed for specific diseases. Diseases are diagnosed using modern state-of-the-art scientific methods. This is done because modern diagnostic approaches incorporate and help in the selection of medicines so that specific medicines can be easily prescribed for specific diseases. With the passage of time and the availability of new diagnostic tools like ultrasonography, magnetic resonance imaging, cancer biomarkers and other advanced tests, we have been able to further streamline the treatment protocols. They often combine two potentized medicines and use the combination in practice. This combination of two potentized medicines is made in a meaningful way based on years of clinical observations by us. Medicines are combined for special advantages in treatment so that the aggravation due to the medicines can be checked, side effects of the medicines abated, and quick and uneventful recovery can be ensured in a much shorter time. As mentioned in this book Banerji Protocols not following Cardinal principles of homoeopathy such as law of Simila, Law of complex, law of minimum, Theory chronic disease, theory of vital force – still they are using homoeopathy medicines – but guaranteeing a cure.